The United States Military Academy at West Point (also known USMA, West Point, or Army) is a four-year coeducational federal service academy located at West Point, New York. Established in 1802, USMA is the oldest of the United States' five service academies. The academy sits on scenic high ground overlooking the Hudson River, 50 miles north of New York City. 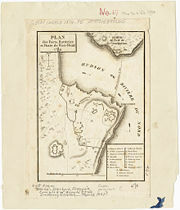 The military garrison at West Point was occupied in 1778 and played a key role in the Revolutionary War. The entire central campus is a national landmark and home to numerous historic sites, buildings, and monuments. The campus is a popular tourist destination complete with a large visitor center and the oldest museum in the United States Army. Tuition for cadets is fully funded by the Army in exchange for an active duty service obligation upon graduation. Approximately 1,000 cadets graduate each spring and are commissioned as second lieutenants. The academic program grants a bachelor of science degree with a curriculum that grades cadets' performance upon a broad academic program, military leadership performance, and mandatory participation in competitive athletics. Cadets are required to adhere to the Cadet Honor Code, which states that "a cadet will not lie, cheat, or steal, nor tolerate those who do." The Academy has influenced many other institutions and curricula, setting high standards in all that it does. Without this institutions, American history would undoubtedly have been very different. The mission of the United States Military Academy is, "To educate, train, and inspire the Corps of Cadets so that each graduate is a commissioned leader of character committed to the values of Duty, Honor, Country and prepared for a career of professional excellence and service to the Nation as an officer in the United States Army." Because of the academy's age and unique mission, its traditions have influenced other institutions. It was the first American college to have class rings, and its technical curriculum was a model for later engineering schools. The 2008 Forbes magazine report on America's Best Colleges ranks West Point number six nationally and number one among public institutions. The 2008 "National Liberal Arts College" category in U.S. News & World Report ranks West Point number 14 among liberal arts colleges, and number one among public institutions. The academy has produced two American presidents, numerous famous generals, and 74 Medal of Honor recipients. West Point was first occupied by the Continental Army on January 27, 1778, making it the longest continually occupied post in the United States. Between 1778 and 1780, Polish engineer and military hero Tadeusz Kościuszko oversaw the construction of the garrison defenses. The Great Chain and high ground above the narrow "S" curve in the Hudson River enabled the Continental Army to prevent British ships from sailing up river and dividing the Colonies. Congress formally authorized the establishment of the United States Military Academy on March 16, 1802, though "cadets" had been undergoing training in artillery and engineering studies at the garrison since 1794. The first official graduate of the academy was Joseph Gardner Swift, who would later return as Superintendent from 1812–1814. The early years of the academy were a tumultuous time, with few standards for admission or length of study. Cadets ranged in age from 10 to 37 and attended between six months to six years. The impending War of 1812 caused Congress to authorize a more formal system of education at the academy, and increased the size of the Corps of Cadets to 250. In 1817, Colonel Sylvanus Thayer became the Superintendent and established the curriculum still in use to this day. Thayer instilled strict disciplinary standards, set a standard course of academic study, and emphasized honorable conduct. Known as the "Father of the Military Academy," he is honored with a monument on campus for the profound impact he left upon the academy's history. Founded to be a school of engineering, for the first half of the nineteenth century, USMA graduates gained recognition for engineering the bulk of the nation's initial railway lines, bridges, harbors, and roads. The academy was the only engineering school in the country until the founding of Rensselaer Polytechnic Institute in 1824. It was so successful in its engineering curriculum that it significantly influenced every American engineering school founded prior to the Civil War. The Mexican–American War brought the academy to prominence as graduates proved themselves in battle for the first time. Future Civil War commanders Ulysses S. Grant and Robert E. Lee first distinguished themselves in battle in Mexico. In all, 452 of 523 graduates who served in the war received battlefield promotions or awards for bravery. The school experienced a rapid modernization during the 1850s, often romanticized by the graduates who led both sides of the Civil War as the "end of the Old West Point era." New barracks brought better heat and gas lighting, while new ordinance and tactics training incorporated new rifle and musket technology and advances such as the steam engine. At the outbreak of the Civil War, West Point graduates filled the general officer ranks of the rapidly expanding Union and Confederate armies. Two hundred and ninety-four graduates served as general officers for the Union, and 151 served as general officers for the Confederacy. Of all living graduates at the time of the war, 105 (10 percent) were killed, and another 151 (15 percent) were wounded. Nearly every general officer of note from either army during the Civil War was a graduate of West Point. The academy enjoyed unprecedented fame in the years immediately following the Civil War due to the role its graduates had played. However, the years immediately following the Civil War were difficult for the academy as it struggled to admit and reintegrate cadets from former confederate states. The first cadets from Southern states were re-admitted in 1868, and 1870 saw the admission of the first African-American cadet, James Webster Smith of South Carolina. Smith was dismissed for academic deficiency in 1874, and Henry O. Flipper of Georgia become the first African-American graduate in 1877, graduating fiftieth of a class of 77. Two of the most notable graduates during this period were George Washington Goethals from the class of 1880, and John J. Pershing from the class of 1886. Goethals would gain prominence as the chief engineer of the Panama Canal, and Pershing would become famous for his exploits against the famed Pancho Villa in Mexico and later for leading American Forces during World War I. Besides the integration of southern-state and African-American cadets, the post-war academy also struggled with the issue of hazing. In its first 65 years, hazing was uncommon or non-existent beyond small pranks played upon the incoming freshmen, but it took a harsher tone as Civil War veterans began to fill the incoming freshman classes. The upper-class cadets saw it as their duty to "teach the plebes their manners." Hazing at the academy entered the national spotlight with the death of former cadet Oscar Booz in 1901. Congressional hearings investigated his death and the pattern of systemic hazing of the freshmen, including testimony by Douglas MacArthur. When MacArthur returned as superintendent in 1919, he made an effort to end the practice of hazing by placing Army Sergeants in charge of training new cadets during freshman summer. The practice of hazing continued on some levels, well into the late-twentieth century, but is no longer allowed in the present day. The demand for junior officers during the Spanish American War caused the class of 1899 to graduate early, while the Philippine Insurrection did the same for the class of 1901. This increased demand for officers led Congress to increase the size of the Corps of Cadets to 481 cadets in 1900. The period between 1900 and 1915 saw a construction boom as much of West Point's old infrastructure was rebuilt. Many of the academy's most famous graduates graduated during the 15-year period between 1900 and 1915: Douglas MacArthur (1902), Joseph Stilwell (1904), Henry "Hap" Arnold (1907), George S. Patton (1909), Dwight D. Eisenhower, and Omar Bradley (both 1915). The class of 1915 is known as "the class the stars fell on" for the exceptionally high percentage of general officers that rose from that class (59 of 164). With war raging in Europe, Congress anticipated potential American involvement and increased the authorized strength to 1,332 cadets in 1916. The outbreak of America's involvement in World War I caused a sharp increase in the demand for army officers, and the academy accelerated the graduation for all three of the upper classes to meet this requirement. By the war's end in 1918, only the freshman cadets remained (those who had entered in the summer of 1918). Douglas MacArthur became superintendent in 1919, instituting sweeping reforms to the academic process, including introducing a greater emphasis on history and humanities. He made major changes to the field-training regimen and the Cadet Honor Committee was formed under his watch in 1922. MacArthur was a firm supporter of athletics at the academy, as he famously said "Upon the fields of friendly strife are sown the seeds that, upon other fields, on other days, will bear the fruits of victory.” West Point was first officially accredited in 1925, and in 1933 began granting bachelor of science degrees to all graduates. In 1935, the academy's authorized strength increased to 1,960 cadets. As World War II engulfed Europe, Congress authorized an increase to 2,496 cadets in 1942, and began graduating classes early. The class of 1943 was graduated six months early in January 1943, while the next four class years graduated after only three years. To accommodate this accelerated schedule, summer training was formally moved to a recently acquired piece of land southwest of main post. The site would later become Camp Buckner. West Point played a prominent role in WWII; four out of five of the five-star generals were graduates and nearly 500 graduates gave their lives. Immediately following the war in 1945, Maxwell Taylor (class of 1922) became superintendent. He expanded and modernized the academic program and abolished antiquated courses in fencing and horsemanship. Unlike some other conflicts, the Korean War did not disrupt class graduation schedules. Most of the senior army leadership during the war were academy graduates while 157 graduates perished. Garrison H. Davidson became superintendent in 1956 and instituted several reforms that included refining the admissions process, changing the core curriculum to include electives, and increasing the academic degree standards for academy instructors. The 1960s saw the size of the Corps expand 4,400 cadets while the barracks and academic support structure grew proportionally. West Point was not immune to the social upheaval of American society during the Vietnam War. The first woman joined the faculty of the all-male institution amidst controversy in 1968. The Army granted its first honorable discharge to a West Point graduate claiming conscientious objector status in 1971. The academy struggled to fill its incoming classes as its graduates led troops in Southeast Asia, where 273 graduates died. Following the 1973 Paris Peace Accords ending American involvement in Vietnam, the strain and stigma of earlier social unrest passed and West Point enjoyed surging enrollments. Vincent Brooks became the first African-American First Captain in 1980. West Point admitted its first 119 female cadets in 1976, after Congress authorized the admission of women to all of the federal service academies in 1975. Women currently comprise approximately 15 percent of entering new cadets. In 1989, Kristen Baker became the first female First Captain, the highest-ranking senior cadet at the academy. Several females have been appointed as the First Captain: Kristen Baker in 1989, Grace H. Chung in 2004, and Stephanie Hightower in 2006. Rebecca Marier became the academy's first female valedictorian in 1995. The first female West Point alumnus to attain flag (general officer) rank was Rebecca Halstead, class of 1981. In 1985, cadets were formally authorized to declare an academic major, as all previous graduates had been awarded a general bachelor of science degree. Fiver years later, there was a major revision of the "Fourth Class System," as the Cadet Leader Development System (CLDS) became the guidance for the development of all four classes. Despite its reputation for resisting change, West Point was an early adopter of the use of the Internet, authorizing full access to all cadets free of charge in their barracks rooms in the mid 1990s. The academy has received recognition for its use of the Internet to conduct cadet academics and academy business. During the Gulf War, alumnus General Schwarzkopf was the the commander of Allied Forces, and American senior generals in Iraq, Generals Petraeus, and Odierno are also graduates. Following the September 11 attacks, applications for admission to the academy increased dramatically, security on campus was increased, and the curriculum was modified to include coursework on terrorism and military drills in civilian environments. Aerial view of the United States Military Academy, located in West Point, New York. The academy is located on a 16,000 acre reservation approximately 50 miles (80 km) north of New York City on the western bank of the Hudson River. West Point, New York is incorporated as a federal military reservation in Orange County and is adjacent to Highland Falls. Based on the significance both of the Revolutionary War fort ruins and of the military academy itself, the majority of the academy area was declared a National Historic Landmark in 1960. In 1841, Charles Dickens visited the academy and said "It could not stand on more appropriate ground, and any ground more beautiful can hardly be." One of the most visited and scenic sites on post, Trophy Point, overlooks the Hudson river to the north, and is home to many captured cannon from past wars as well as the Stanford White-designed Battle Monument. Though the military reservation is quite large, the academic area of the campus is entirely accessible to cadets or visitors by foot. In 1902, the Boston architectural firm Cram, Goodhue, and Ferguson was awarded a major construction contract that set the predominately neogothic architectural style still seen today. Most of the buildings of the central cadet area are in this style, as typified by the Cadet Chapel, completed in 1910. These buildings are nearly all constructed from granite that has a predominately gray and black hue. The barracks that were built in the 1960s were designed to mimic this style. Other buildings on post, especially the oldest private residences for the faculty are built in the Federal, Georgian, or English Tudor styles. A few buildings, such as Cullum Hall and the Old Cadet Chapel, are built in the Neoclassical style. The academy grounds are home to numerous monuments and statues. The central cadet area hosts area the largest number, which include monuments to George Washington, Sylvanus Thayer, Dwight D. Eisenhower, Douglas MacArthur, Tadeusz Kosciuszko, and John Sedgwick. A monument to George S. Patton was dedicated in front of the cadet library in 1950, but in 2004 it was placed in storage to make room for the construction of Jefferson Hall. There is also a statue commemorating brotherhood and friendship from the L'Ecole Polytechnique in the cadet central area just outside Nininger Hall. The West Point Cemetery is the final resting place of many notable graduates and faculty, including George Armstrong Custer, William Westmoreland, Earl Blaik, Maggie Dixon, and 16 Medal of Honor recipients. Many of the older grave sites have large and ornate grave markers, the largest belonging to Egbert Viele (class of 1847), chief engineer of Brooklyn's Prospect Park. The cemetery is also home to a monument to Revolutionary War heroine Margaret Corbin. West Point is home to historic athletic facilities like Michie Stadium and Gillis Field House as well as modern facilities such as the Licthenburg Tennis Center, Anderson Rugby Complex, and the Lou Gross Gymnastics Facility. Michie Stadium underwent a significant upgrade in facilities for the football team, and the academy installed a new artificial turf field in the summer of 2008. The visitor's center outside the Thayer Gate in the village of Highland Falls offers guided tours for the general public. The West Point Museum is directly adjacent to the visitor's center, in the renovated Olmsted Hall on the grounds of the former Ladycliff College. Opened to the public in 1854, the West Point Museum is the oldest and largest military museum in the country. Class of 2008 toss their hats after "class dismissed". West Point is a medium-sized, highly residential baccalaureate college, with a full-time, four-year undergraduate program that emphasizes instruction in the arts, sciences, and professions with no graduate program. There are 31 academic majors and the most popular majors are in foreign languages, management information systems, history, economics, and mechanical engineering. West Point is accredited by the Middle States Commission on Higher Education. Military officers comprise 75 percent of the faculty, while civilian professors comprise the remaining 25 percent of faculty positions. A cadet's class rank, which determines their army branch and assignment upon graduation, is calculated as a combination of academic performance (55 percent), military leadership performance (30 percent), and physical fitness and athletic performance (15 percent). The academy's teaching style is known as the "Thayer method," which was imparted by Sylvanus Thayer during his tour as Superintendent. The Thayer method emphasizes small classes with daily homework, and strives to make students actively responsible for their own learning by completing homework assignments prior to class and bringing the work to class to discuss collaboratively. The academic program consists of a structured core of 31 courses balanced between the arts and sciences. Although cadets choose their majors in the fall of their sophomore year, they take the same course of instruction until the beginning of their junior year. This core curriculum of instruction consists of mathematics, computer science, chemistry, physics, engineering, history, physical geography, philosophy, leadership and general psychology, English composition and literature, foreign language, political science, international relations, economics, and constitutional law. Regardless of major, all cadets graduate with a Bachelor of Science Degree because of the engineering requirements. All cadets receive commissioning as Second Lieutenants upon graduation so military and leadership education is nested with academic instruction. Military training and discipline fall under purview of the Office of the Commandant. Entering freshmen, or fourth class cadets, are referred to as "New Cadets," and enter the academy on Reception Day or "R-day," which marks the start of cadet basic training (CBT), known colloquially as "Beast Barracks," or simply "Beast." Most cadets consider Beast to be their most difficult time at the academy because of the strenuous transition from civilian to military life. Their second summer, cadets undergo cadet field training (CFT) at nearby Camp Buckner, where they train more advanced field craft and military skills. During a cadet's third summer, they may serve as instructors for CBT or CFT. Rising Firstie (senior) cadets also spend one month training at Camp Buckner, where they train for current tactical situations that they will face as new platoon leaders. Cadets also have the opportunity during their second, third, and fourth summers to serve in active army units and military schools around the world. Active duty officers in the rank of Captain or Major serve as company Tactical Officers (Tac). The role of the Tac is to mentor, train, and teach the cadets proper standards of good order and discipline and to be good role models for the cadets. There is one Tac for every cadet company. There is also one senior Non-Commissioned Officer to assist each Tac, known as TacNCOs. The Department of Military Instruction (DMI) is responsible for all military arts and sciences education as well as planning and executing the cadet summer training. Within DMI there is a representative from each of the Army's branches. These "branch reps" serve as proponents for their respective branches and liaise with cadets as they prepare for branch selection and graduation. The Department of Physical Education (DPE) administers the physical program, which includes both physical-education classes, physical-fitness testing, and competitive athletics. The head of DPE holds the title of Master of the Sword, dating to the 1800s when DPE taught swordsmanship as part of the curriculum. All cadets take a prescribed series of physical fitness courses. Cadets take military movement (applied gymnastics), boxing (men) or self defense (women), swimming, and advanced combatives. Cadets can also take elective physical-activity classes such as scuba, rock climbing, and aerobic fitness. As with all soldiers in the Army, cadets also must pass the Army Physical Fitness Test twice per year. Additionally, during their junior year, cadets must pass the Indoor Obstacle Course Test (IOCT), which DPE has administered in Hayes gymnasium since 1944. Since Douglas MacArthur's tenure as superintendent, every cadet has been required to participate in either an intercollegiate sport, a club sport, or an intramural (referred to as "company athletics") sport each semester. Moral-ethical development occurs throughout the entirety of the cadet experience by living under the honor code and through formal leadership programs available at the academy. These include instruction in the values of the military profession through Professional Military Ethics Education (PME2), voluntary religious programs, interaction with staff and faculty role models, and an extensive guest-speaker program. The foundation of the ethical code at West Point is found in the academy's motto, "Duty, Honor, Country." West Point's Cadet Honor Code reads simply that: "A cadet will not lie, cheat, or steal, or tolerate those who do." Cadets accused of violating the Honor Code face an investigative and hearing process. If they are found guilty by a jury of their peers, they face severe consequences ranging from being "turned back" (repeating an academic year) to separation from the academy. Cadets previously enforced an unofficial sanction known as "silencing" by not speaking to cadets accused of violating the honor code, but the practice ended in 1973 after national scrutiny. Throughout the four years at the academy, Cadets take PME2 classes. These classes start during Cadet Basic Training and run the entire breadth of their time at the academy. As the cadets mature in rank and experience, they transform from receivers of information to facilitators and teachers of PME2 topics. The Simon Center for the Professional Military Ethic, located in Ninenger Hall in central area, is the coordinator for most PME2 training in conjunction with the cadet TAC officers. The commanding officer at USMA is the Superintendent. This position is roughly equivalent to the president of a civilian university, but due to the military status of the academy, the Superintendent exercises greater influence over the daily lives of the cadets. Since 1812, all Superintendents have been West Point graduates, though this has never been an official prerequisite for the position. The academy is a direct reporting unit, and as such, the Superintendent reports directly to the Army Chief of Staff (CSA). There are two other general officer positions at the academy:the Commandant of Cadets and the Dean of the Academic Board. There are 13 academic departments at USMA, each with a colonel as the head of department. These 13 tenured colonels comprise the core of the Academic Board. These officers are titled "Professors USMA" or PUSMA. The academy is also overseen by the Board of Visitors (BOV). The BOV is a panel of Senators, Congressional Representatives, and presidential appointees who "shall inquire into the morale and discipline, curriculum, instruction, physical equipment, fiscal affairs, academic methods, and other matters relating to the academy that the board decides to consider." The admission process consists of two parts. Candidates must apply directly to USMA for admission, and they must obtain a nomination. The majority of candidates receive their nomination from their congressman, although the nomination process is not political and applicants do not have to know their congressman. Admission to West Point is selective: 12.75 percent of applicants were admitted (total of 1292) to the Class of 2012. Candidates must be between 17 and 23 years old, unmarried, and with no legal obligation to support a child. Above-average high school or previous college grades and strong performance on standardized testing is expected. The interquartile range on the SAT was 1100–1360 and 68 percent ranked in the top fifth of their high-school class. The academy considers an applicant's race as a criterion for admission to ensure a diverse student body. About 15 candidates are admitted each year from foreign countries at the expense of the sending nation. Candidates may have previous college experience, but they may not transfer, meaning that regardless of previous college credit, they enter the academy as a fourth-class cadet and undergo the entire four-year program. Cadets are not referred to as freshmen, sophomores, juniors, or seniors. Instead they are officially called fourth class, third class, second class, and first-class cadets. Colloquially, freshmen are "plebes," sophomores are "yearlings" or "yuks," juniors are "cows," and seniors are "firsties." Plebians were the lower class of ancient Roman society, while yearling is a euphemism for a year-old animal. There are many theories for the origin of cow, most of which center around the fact that in years past, cadets could not take leave until cow year, and thus the phrase, "until the cows come home." Firstie is short for first class cadet. The Corps of Cadets is officially organized into a brigade. The senior ranking cadet, the Brigade Commander, is known traditionally as the First Captain. The brigade is organized into four regiments. First-class cadets hold the leadership positions within the brigade from the First Captain down to platoon leaders within the companies. 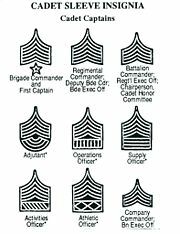 Leadership responsibility decreases with the lower classes, with second-class cadets holding the rank of cadet sergeant, third-class cadets holding the rank of cadet corporal, and fourth class cadets as cadet privates. Because of the academy's congressional nomination process, students come from all 50 states. The academy is also authorized up to 60 allied nation exchange cadets, who undergo the same four-year curriculum as fully integrated members of the Corps of Cadets. Cadets attend the United States Military Academy free of charge, with all tuition and board paid for by the Army in return for a service commitment of five years of active duty and three years of reserve status upon graduation. Cadets receive a small annual salary, and all meals in the dining halls are free to the cadets, while Internet, phone, and television service are provided free of charge in the barracks rooms, leaving cadets with very few expenses. The student population was 4,487 cadets for the 2007-2008 academic year, of which just over 15 percent were female. Ninety-two percent of entering students re-matriculated for a second year, the four-year graduation rate was 80 percent, and the six-year rate was 81 percent. All cadets reside on campus for their entire four years in one of the seven barracks buildings. Most cadets are housed with one roommate, but some rooms are designed for three cadets. Cadets are grouped into "companies," which have alpha-numeric codes to identify them. All companies live together in the same barracks area. The academy has the cadets change companies after their freshmen or sophomore years. This process is known as 'scrambling,' and the method of scrambling has changed several times in recent years. Due to the structured culture of the Corps of Cadets, there is little tradition of Greek fraternal societies at the academy. All 4,000 cadets dine together at breakfast and lunch in the Washington Hall during the weekdays. The cadet fitness center, Arvin Gymnasium, which was rebuilt in 2004, houses extensive physical fitness facilities and equipment for cadet use. Each class of cadets elects a class president and several administrative positions. They also elect a ring and crest committee, which designs the class's crest, the emblem that signifies their class for eternity and is embossed upon their class rings. Each class crest is required to contain the initials USMA and their class motto. The class motto is proposed by the class during cadet basic training and voted on by the class prior to the beginning of their freshman academic year. Class mottos typically have verbiage that rhymes or is phonetically similar with their class year. For example, the motto of the Class of 2009: "For Your Freedom and Mine." Cadets live and work within the framework of the CLDS, which specifies the roles that a cadet plays throughout their four years at the academy. Cadets begin their USMA careers as trainees (new cadets), then advance in rank, starting as CDT Privates (freshmen) and culminating as CDT Officers (seniors). Freshmen have no leadership responsibilities, but have duties to perform as they learn how to follow orders and operate in an environment of rigid rank structure, while seniors have significant leadership responsibilities and significantly more privileges that correspond to their rank. A number of extra curricular activities are available, most run by the office of the Directorate of Cadet Activities (DCA). DCA sponsors or operates 113 athletic and non-sport clubs. Many cadets join several clubs during their time at the academy and find their time spent with their clubs a welcome respite from the rigors of cadet life. DCA is responsible for a wide range of activities that provide improved quality of life for cadets, including: three cadet-oriented restaurants, the Cadet Store, and the Howitzer and Bugle Notes. The Howitzer is the annual yearbook, while Bugle Notes, also known as the "plebe bible," is the manual of plebe knowledge. Plebe knowledge is a lengthy collection of traditions, songs, poems, anecdotes, and facts about the academy, the army, the Old Corps, and the rivalry with Navy that all plebes must memorize during cadet basic training. During plebe year, plebes may be asked, and are expected to answer, any inquiry about plebe knowledge asked by upper class cadets. Other knowledge is historical in nature, including information as found in Bugle Notes. However, some knowledge changes daily, such as "the days" (a running list of the number of days until important academy events), the menu in the mess hall for the day, or the lead stories in The New York Times. Each cadet class celebrates at least one special "class weekend" per academic year. Fourth-class cadets participate in Plebe Parent Weekend during the first weekend of spring break. In February, third-class cadets celebrate the winter season with Yearling Winter Weekend. In late January, the second-class cadets celebrate 500th Night, marking the remaining 500 days before graduation. First-class cadets celebrate three different formal occasions. In late August, first-class cadets celebrate Ring Weekend, in February they mark their last 100 days with 100th Night, and in May they have a full week of events culminating in their graduation. All of the "class weekends" involve a formal dinner and social dance, known in old cadet slang as a "hop," held at Eisenhower Hall. The Army mascot has traditionally been a mule, but the academy's football team was historically called "The Black Knights of the Hudson." This nickname has been officially shortened to "Black Knights." U.S. sports media use "Army" as a synonym for the academy. "On Brave Old Army Team" is the school's fight song. Army's chief sports rival is the Naval Academy, due to its long-standing football rivalry and the intraservice rivalry with the Navy in general. Fourth-class cadets verbally greet upper-class cadets and faculty with "Beat Navy," while the tunnel that runs under Washington road is named the "Beat Navy" tunnel. West Point also is rivals with Air Force, but not as fiercely as with Navy due to Air Force's relatively young age and geographic distance from Army. In the first half of the twentieth century, Army and Notre Dame were football rivals, but that rivalry had since died out. Army football began in 1890, when Navy challenged the cadets to a game of the relatively new sport. Navy defeated Army at West Point that year, but Army avenged the loss in Annapolis the following year. The academies still clash every December in what is traditionally the last regular-season Division I college-football game. Army's football team reached its pinnacle of success under coach Earl Blaik when Army won consecutive national championships in 1944 and 1945. The football team plays its home games at Michie Stadium, where the playing field is named after Earl Blaik. Cadets' attendance is mandatory at football games and the Corps stands for the duration of the game. At all home games, one of the four regiments marches onto the field in formation before the team takes the field and leads the crowd in traditional Army cheers. Though football is the best known varsity sport at the academy, West Point has a long history of athletics in other NCAA sports. Army is a member of the Division I Patriot League in most sports, while its men's ice hockey program competes in Atlantic Hockey. Every year, Army faces the Royal Military College of Canada (RMC) Paladins in the annual West Point Weekend hockey game. This series, conceived in 1923, is the longest-running, annual international sporting event in the world. West Point fields a total of 24 club-sports teams and approximately 15 percent of cadets are members of a club sport team. The majority of the student body, about 65 percent, competes in intramural sports, known at the academy as "company athletics." The fall season sees competition in basketball, biathlon, full-contact football, soccer, ultimate disc, and wrestling; while the spring season sees competition in combative grappling, floor hockey, orienteering, rugby, and swimming. In the spring, each company also fields a team entry into the annual Sandhurst Competition, a military-skills event conducted by the Department of Military Instruction. Due to West Point's age and its uniquely singular mission of producing army officers, it has many time-honored traditions. The list below are some of the traditions unique to or started by the academy. The Cullum number is a reference and identification number assigned to each graduate. It was created by brevet Major General George W. Cullum (USMA Class of 1833) who, in 1850, began the monumental work of chronicling the biographies of every graduate. He assigned number one to the first West Point graduate, Joseph Gardner Swift, and then numbered all successive graduates in sequence. Before his death in 1892, General Cullum completed the first three volumes of a work that eventually comprised 10 volumes, entitled General Cullum’s Biographical Register of the Officers and Graduates of the United States Military Academy, and covering USMA classes from 1802 through 1850. From 1802 through the Class of 1977, graduates were listed by general order of Merit. Beginning with the Class of 1978, graduates were listed alphabetically, and then by date of graduation. Seven graduates have an "A" suffix after their Cullum Number. For various reasons these graduates were omitted from the original class roster, and a suffix letter was added to avoid renumbering the entire class and subsequent classes. West Point began the collegiate tradition of the class ring, beginning with the class of 1835. The class of 1836 chose no rings, and the class of 1879 had cuff links in lieu of a class ring. Prior to 1917, cadets could design much of the ring individually, but now only the center stone can be individualized. One side of the ring bears the academy crest, while the other side bears the class crest and the center stone ring bears the words West Point and the class year. The academy library has a large collection of cadet rings on display. Senior cadets receive their rings during Ring Weekend in the early fall of their senior year. Immediately after returning to the barracks after receiving their rings, fourth-class cadets take the opportunity to surround senior cadets from their company and ask to touch their rings. After reciting a poem known to cadets as the "Ring Poop," the senior usually grants the freshmen permission to touch the ring. Some cadets spin Sedgwick's spurs for good luck prior to difficult exams. West Point is home to the Sylvanus Thayer Award. The award is given annually since 1958 by the academy to an outstanding citizen whose service and accomplishments in the national interest exemplify the academy's motto, "Duty, Honor, Country." The award guidelines state that the recipient not be a graduate of the academy. The award has been awarded to many notable American citizens, including George H. W. Bush, Colin Powell, Tom Brokaw, Sandra Day O'Conner, Henry Kissinger, Ronald Reagan, Carl Vinson, Douglas MacArthur, Barbara Jordan, and Bob Hope. A monument to Union general John Sedgwick stands on the outskirts of the parade field. Sedgwick's bronze statue has spurs that freely rotate. Cadet legend states that if a cadet is in danger of failing a class, they are to don their full-dress parade uniform the night before the final exam. If the cadet visits the statue and spins the spurs at the stroke of midnight, the cadet will pass the exam and the course. Although being out of of their rooms after midnight is officially against regulations, violations have been known to be overlooked for the sake of tradition. As part of the run-up to the Navy football game, the Corps of Cadets plays the Goat–Engineer game. First played in 1907, it is a game between the "Goats" (the bottom half of the senior class academically), and the "Engineers" (the top half). The game is played with full pads and helmets using eight-man football rules at Michie Stadium. Legend states that Army will beat Navy if the goats win, and the opposite if the Engineers win. In recent years, female cadets have began playing a flag football contest, so there are now two Goat–Engineer games, played back to back the same night. Graduates of the academy refer to themselves as the "The Long Gray Line," a phrase taken from the academy's traditional hymn The Corps. The academy has produced just under 65,000 alumni, including two American Presidents, Ulysses S. Grant and Dwight D. Eisenhower; the president of the Confederate States of America, Jefferson Davis; and three foreign heads of state: Anastasio Somoza Debayle of Nicaragua, Fidel V. Ramos of the Philippines, and José María Figueres of Costa Rica. The academy has produced many notable generals during its 207 years. During the Civil War, graduates included Hood, Jackson, Lee, Longstreet, Meade, Sheridan, Sherman, and Stuart. George Armstrong Custer graduated last in his class of 1861. During World War I, the academy produced General of the Armies John J. Pershing. During World War II, West Point was the alma mater of Arnold, Bradley, Clark, Eichelberger, Gavin, Groves, MacArthur, Patton, Stillwell, Taylor, Van Fleet, and Wainwright, with many of these graduates also serving in commanding roles in the Korean War. During the Vietnam War, notable graduates general officers included Abrams, Moore, and Westmoreland. West Point also produced some famous generals and statesmen of recent note including Abizaid, Clark, Haig, McCaffrey, Petraeus, Odierno, Schwarzkopf, and Scowcroft. Over 70 graduates have been awarded the Medal of Honor. West Point has produced 18 NASA astronauts. Other noted alumni include Jim Kimsey, founder of AOL; Jim Hicks, president of J. C. Penney; Alden Partridge, founder of Norwich University; and Oliver O. Howard, founder of Howard University. West Point's contributions to sport include Heisman Trophy winners Glenn Davis, Doc Blanchard, and Pete Dawkins. ↑ United States Military Academy, U.S. Military Academy Mission Retrieved February 21, 2009. ↑ 2.0 2.1 United States Military Academy, Mid-Century Time of Trial USMA Bicentennial. Retrieved February 21, 2009. ↑ Stephen Ambrose, Duty, Honor, Country: A History of West Point (Baltimore, MD: Johns Hopkins University Press, 1966, ISBN 0801862930), 223. ↑ Susie Parker-Perry, #11 United States Military Academy, Top 20 Most Wired Campuses, PC Magazine, December 20, 2006. Retrieved February 21, 2009. ↑ Jeffrey Simpson, Officers And Gentlemen: Historic West Point in Photographs (Tarrytown, NY: Sleepy Hollow Press, 1982, ISBN 0912882530), 13. ↑ National Center for Education Statistics, United States Military Academy College Navigator, Institute of Education Sciences, United States Department of Education. Retrieved February 18, 2009. All links retrieved January 8, 2016. History of "United States Military Academy"
This page was last modified on 8 January 2016, at 17:09.